Your Toshiba laptop is black after turning on, and sometimes it won’t turn on on a black screen. This is quite annoying. But don’t worry. You can fix your Toshiba laptop black screen issue by the solutions in this post. Here are the solutions that have helped people resolve the black screen in Toshiba laptops. You don’t have to try them all; just work your way down the list until everything’s working again. 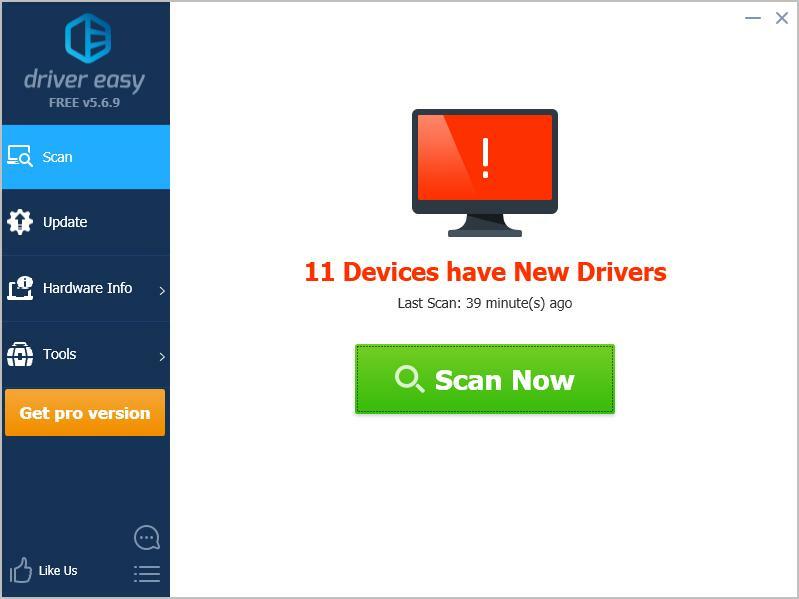 Remove any external devices including your USB drive, Bluetooth devices and headsets. Remove your AC adapter cable, hard drives and your battery (if your battery is removable). Press and hold the Power button for 60 seconds and release. Your laptop may boot up and turn off during this time period. Plug your AC adapter and your battery back (if your battery is removable). Press the Power button as normal to turn on your Toshiba laptop. Your laptop should be able to start normally and hopefully the black screen issue has been fixed. Note: You’ll need to log into your laptop to perform this method. If you can log into your laptop, boot your laptop into Safe Mode with networking, or connect an external monitor to your laptop, then follow the instructions below. 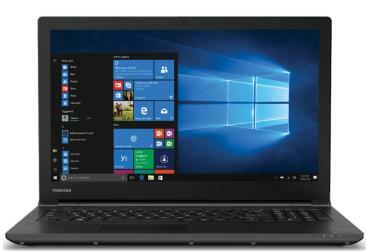 Your Toshiba laptop screen may be black if your system has been infected with viruses or malware. Then restart your laptop as normal and see if it fixes your black screen issue. The missing or outdated graphics card driver in your laptop can cause the black screen issue. To rule it out as the cause for your problem, you should update your graphics card driver to the latest version. You can manually search for the latest version of your graphics card driver from the manufacturer, and download and install it in your laptop. This requires time and computer skills. We recommend this if you’re confident with your computer skills. Click the Update button next to the flagged graphics device to automatically download the correct version of the driver (you can do this with the FREE version), then install the driver in your computer. 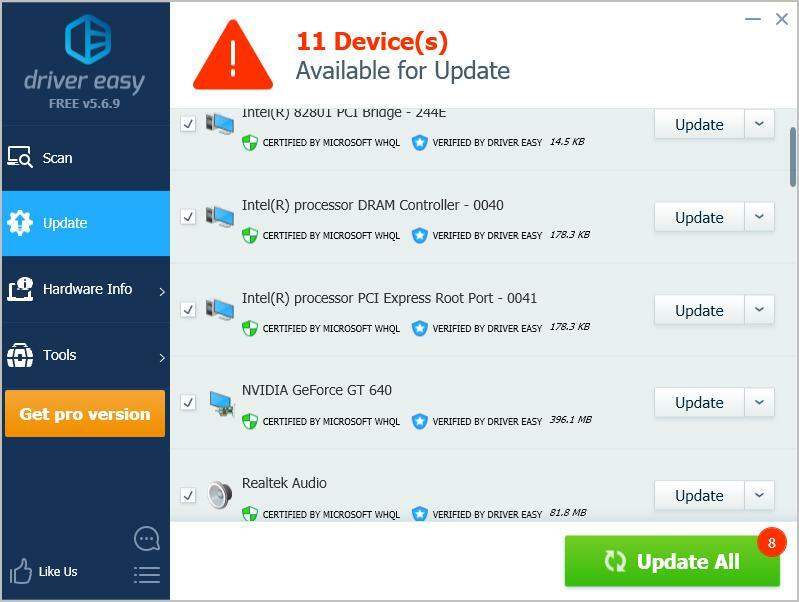 Or click Update All to automatically download and install the correct version of all the drivers that are missing or out of date on your system (this requires the Pro version– you’ll be prompted to upgrade when you click Update All). Now see if your laptop can start up correctly. If your black screen issue still happens in your Toshiba laptop after trying the methods above, don’t worry. Try these tips below that have helped people resolve their Toshiba laptop black screen issue. Unplug the power cable, and remove your battery (if it’s removable). Put your battery back and re-plug your power cable. Simultaneously press the Shift key, F8 key and Power button on your keyboard. Wait for your laptop to start. Your laptop should start normally and the black screen has been removed. Press and hold the Power button, the Fn key and F5 key at the same time for 60 seconds. Repeat this step for 5 times. Press the Power button as normal to turn on your laptop. Your laptop should be starting properly. So that’s it. Hope this post fixes your Toshiba laptop black screen problem. Please add a comment below to let us know if these fixes resolved your Toshiba laptop screen issue. If you have any other issues, feel free to let us know, and we’ll do our best to help.